You have probably seen one of Progressive Insurance’s many television advertisements. The spokeswoman for the company is Flo. She tells customers that they can “name their own price” when it comes to buying insurance products. She says you can save boatloads of money on an auto policy based on your good driving habits. Progressive also likes to tout the myriad discounts that are available to their customers. They offer vehicle and recreational policies, home and property coverage. It includes just about everything else that Progressive is willing to insure, from your pet to wedding. That is right, Progressive offers “one-day” policies should something go wrong with your wedding or similar event plans. In that regard, Progressive is one of the more unique insurance companies operating in the industry today. The company’s more commonplace product line remains on pace with their competition in the marketplace. Progressive makes getting your automobile, motorcycle, RV, ATV, boat, snowmobile, golf cart, Segway Scooter, and almost anything else, insured easy and makes it affordable. They offer a full list of coverage options to ensure that you and your vehicle are properly and completely protected, in the event something should happen. All of your motor vehicles require some form of minimum coverage. This is mandatory in all fifty states of the United States of America, to legally operate an automobile or other motor vehicle. The laws in each state establish what those minimums are. Legislators are satisfied with their prescribed levels of coverage. The levels as written, may not meet your particular insurance needs. Buying an Automobile Insurance policy with Progressive affords consumers with ample opportunity to tailor their coverage to meet their specific needs. It can satisfy their budget, while still providing enough protection for their car or any other vehicle they own. Progressive Insurance has an exclusive “Name Your Price Tool”. This instrument is accessible online, through the company’s website. First, you input the requested data about yourself and the vehicle you wish to insure. Then you name the price you wish to pay for your premium. The tool responds with all available coverage options available, their applicable limits, and the corresponding deductibles for each policy choice. If none of the responses are suitable, you can fiddle around with the slider bar, to change all your components, and either increase or decrease them as you see fit. Lowering your rate will decrease your insurance coverage, their limits and deductibles. Raising the rate will do the same in the opposite fashion. The goal is to find a coverage combination that satisfies all categories. Once you have chosen a policy package, you have effectively “named your own price”. Progressive has a wide range of options when it comes to automobile coverage. 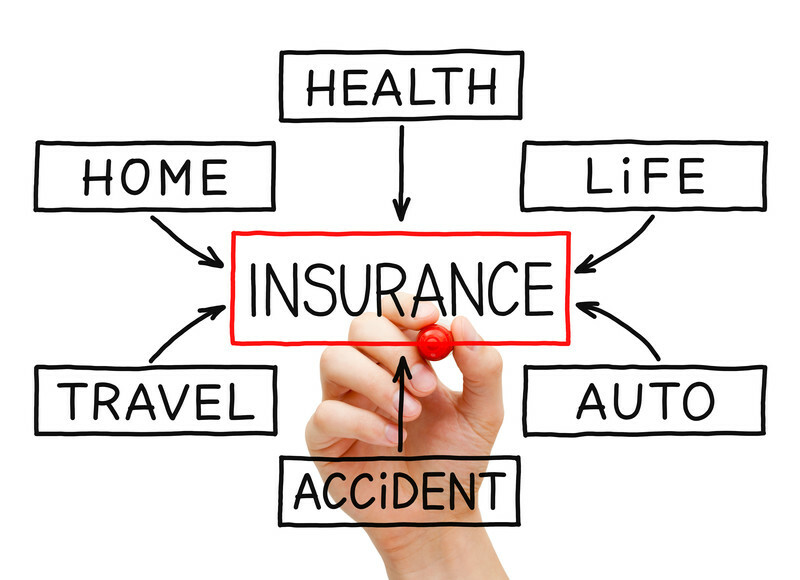 These are the many choices available to you when you put together your insurance policy. Medical Payment Coverage: This portion of your coverage covers any medical and/or funeral costs for you or your passengers if you end up in a car wreck. This protection extends to any situation where you are hit by a motor vehicle, while you are walking across the road, or riding a bicycle. Liability Coverage: All fifty states in the United States of America mandate that all drivers hold some form of insurance. Liability is the coverage to which they are referring. You must carry this coverage, no matter where you live, in the USA. This will cover all property damage expenses, medical costs, and other expenditures incurred by other drivers and passengers, in a crash in which you are the party at fault. Each state declares minimum limits that you must hold to drive legally. If those particular limits are not enough, Progressive has several options that can fit your needs. 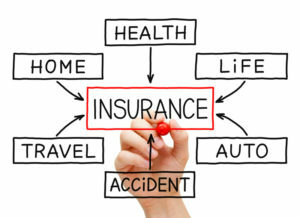 Uninsured and Under-Insured Motorist Coverage: Some states require you carry this uninsured and under-insured coverage. This is the coverage that takes care of your expenses incurred that relate to medical care and repairs to your vehicle, if you are in an accident, and the other party does not have coverage, or has very little. It is a good level of protection to have, for your peace of mind. Comprehensive Coverage: You have coverage if anything should happen to your vehicle from things like fire, a tree branch getting blown down, thieves breaking into or vandalizing your automobile. This includes almost anything that might occur, other than being struck by another vehicle. In these cases, Progressive will pay for the costs to repair, or replace your insured car. Collision Coverage: After your car has been in any sort of accident, this coverage pays all your repair or replacement expenses. It covers you no matter who is at fault, or what you happen to collide into. That includes things such as another car, a lamp-post, a fence, or really, almost anything. Progressive will pay to fix your vehicle if anything like that occurs. Emergency Roadside Service Coverage: The name says it all. If you have Emergency Roadside Service Coverage, and your car breaks down, or the battery needs a jump, the company will fully cover any costs that you may incur. If you do not opt for the coverage, you need to pay for all towing expenses. Rental Car Coverage: This one is also self-explanatory. With Rental Car coverage, should your car be in the shop for any length of time, this coverage will pay for a rental car, until your insured vehicle is back on the road. The limit for this coverage is typically 30 days with Progressive. This gets you a car comparable to the one that you have insured at the time. Customized Equipment Coverage: Your car reflects you. It is possible you put some time and money into customizing it with some special modifications. That includes rims, chrome grill, a fin, or a new sound system. The Customized Equipment Coverage option is coverage that protects all of those things, in the event your vehicle gets into an accident. Pet Injury Coverage: If you get into an accident and your pet has an injury, Progressive will pay for all the veterinary bills necessary to get your furry friend back in good shape. This is part of your collision coverage. Progressive is an industry leader when it comes to saving money on your insurance rates. According to the company, 95% of their customers qualify for at least one of their vast array of discounts. There is no limit to the numerous discounts a customer can earn. Progressive offers many of the standard discount opportunities found with any other major insurance provider. There are options giving them an advantage over the other guys. Here are a few of those options. Plug-In Snapshot: The most well-known of these unique discount alternatives is their exclusive Plug-In Snapshot Device. Designed to reward you for practicing smart and responsible driving habits. They give a discount for demonstrating such habits over a 30 day period, the company issues you a small data collection tool. You plug this instrument into the computer in your car.It captures a wealth of information about your care and the way you drive. This includes your Vehicle Identification Number (VIN), miles driven per day, and how often you slam down on the brake pedal. It also records all of your driving routines between the wee hours of midnight and 4:00 am. When the 30 day period comes to an end, all you need to do is send the device back to Progressive, where they analyze the data. You could potentially get a 30% discount on your premiums by using the Plug-In Snapshot tool. Online Quote Discount: Most consumers save an average of 7% by going online for an insurance quote from Progressive, and following that up with the purchase of a policy over the phone. 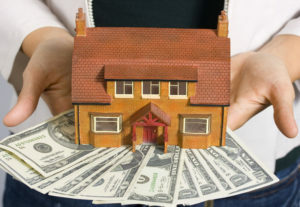 Bundling Discount: At an average savings of 5%-12%, bundling your home and auto insurance policies adds up to big savings. It does not matter how many policies that you bundle together. You will enjoy reduced rates, if you add your auto policy to a homeowners, motorcycle, boat, or a combo of them all. Safe Driver Discount: This is different from the Plug-In Snapshot device program. With this discount, you will save up to 29% on your policy. This applies if you do not get any tickets or cause any accidents in which you are the party at-fault, over the past three years. Multi-Car Discount: You can save up to 10% when you insure another vehicle with your Progressive Policy. This applies if you own a second car, or combine a policy with a car owned by a family member, or even a friend. You qualify for this coverage, as long as you both live in the same home. 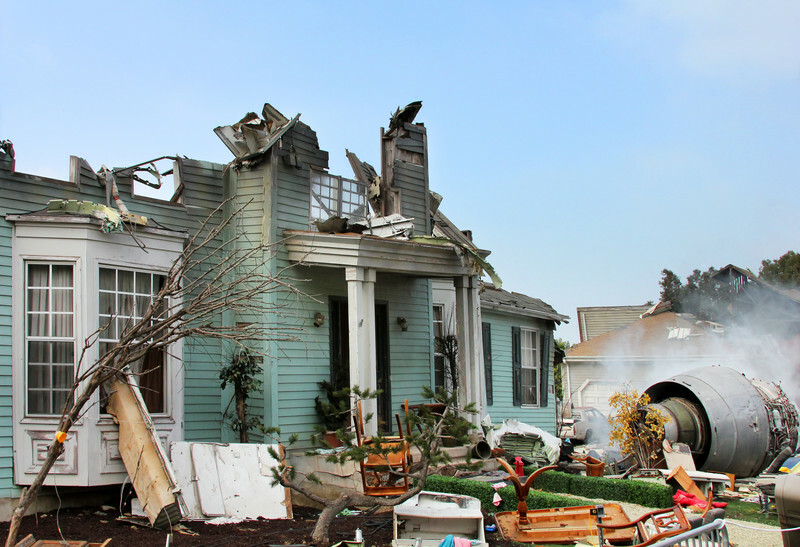 Homeowner Discount: Owning a house, a condominium, or a mobile home gets you a break on insurance costs. The owned home does not even need to have insurance with a Progressive policy to get the discount. All you need to do is own a home. That is it. Continuous Insurance Discount: The longer you maintain a valid Automobile Insurance Policy, the more you can save with the Continuous Insurance Discount. As long as you have not had any gaps in coverage or policy cancellations, you get a reduction on policy premiums. This applies even if at that time, you were not insured by Progressive. As long as you had insurance with any company, you qualify for this discount. Online Signing Discount: Once you purchase your policy, if you sign your documents online, you can save an average of $50 on premiums. Pay in Full Discount: Paying for six months on your policy up front will allow a break on your policy costs. It is a good way to save yourself some money. You will be glad that you do not have to worry about making monthly payments for your coverage. Automatic Payments Discount: Another good way to save yourself money, is by signing up for monthly automatic bill payments. This is a great option if you would rather not pay in full. It gives you a choice of payment options and a way to reduce your rates through either method. Good Student Discount: Good grades affords you a discount on your car insurance. Maintain a “B” average or better, and you can save. The savings continue if you have a child on your policy who is 22 years of age or younger, who attends a school over 100 miles away from your home address. Minor Child Driver Discount: If one of your children has their driver’s license, and you add them to your policy, there is a break on your rates. The only restriction is that your son or daughter is under the age of 18. This safeguards your home, any other structures on the property, and personal effects, from damage or loss as a result of a number of covered losses listed by Progressive. Things like floods will require additional coverage. Consider purchasing other riders keeping you thoroughly protected from any danger out there. They offer extended limits to secure expensive values that are not adequately covered by standard policy limits. Progressive has all these options available. It is important to note that every homeowner has some form of coverage when they purchase a home or try closing a mortgage. Homeowners coverage protects your home and your stuff. It protects you if anything happens to guests or visitors suffering some sort of property damage or loss, while they are on your property. As with automobile insurance, no policy is one size fits all. That is why Progressive offers a range of coverage options and limits to fit every customer’s budget and particular insurance needs. This coverage is available with Renters, Condominium, and Mobile Home policies. Floods require additional coverage. The same for earthquakes. But aside from those perils, here are all the ways that Progressive keeps you and your home protected, with a standard home insurance policy. This refers to your home and any other dwellings or structures on your property. Whether it is a tool shed, detached garage, outhouse, or fence, if something happens, this coverage takes care of the cost of repair or replacement. Anything damaged, stolen, or destroyed inside your home, up to a certain limit, covered under this part of your policy. If your Xbox, furniture, or microwave oven are missing, Progressive covers the costs. Valuable artwork may need additional coverage to adequately cover a loss. This part of your policy works the same as liability coverage on your vehicle. If you are responsible for injury or damage to another person or their property, this covers any costs incurred for court fees or judgments rendered against you. Anyone injured on your property, and need medical attention for any reason, this part of your policy covers those expenses. It also covers the costs should you be responsible for someone getting injured outside of your property. If your home sustains some serious damage making it uninhabitable for any time period, this covers the costs incurred finding alternative housing, while your home is under repair. Sometimes standard coverage and limits are not enough to keep your stuff safe. Here are some of the extra protections you can buy to make sure you are properly covered. Guaranteed Replacement Cost Coverage: This coverage ensures that you get the full replacement costs for any loss of your home or the things inside of it. Inflation Guard Endorsement: Through this coverage, your policy keeps pace with the rising costs related to the inflation rate. It affords the best, most thorough protection of your home. It adjusts your limits over the course of your policy, so they remain at 80% of the replacement cost of your home. Scheduled Personal Property Endorsement: Remember when we discussed how some valuable items probably are not fully covered under standard policy limits? This is the rider you purchase to make sure any luxury items are fully protected. This includes rare coins, collectibles, fur coats, artwork, antiques, and anything of value. By itemizing and detailing these in the rider, each is properly protected. Secondary Residence Premises Endorsement: Just because you have a homeowners policy on one home does not mean you have coverage for second residence you may own under that policy. In fact, it is likely not covered. Getting this additional coverage will protect both your homes. Watercraft Endorsement: Your liability and medical payments coverage extends to your boat. It only applies to small sailboats and outboard motor boats. Theft Coverage Protection Endorsement: Should you have any belongings stolen from your car, boat, or trailer, this covers you without requirement for proving forcible entry in the incident. Credit Card Forgery and Depositors Forgery Coverage Endorsement: With this additional coverage, there is protection for any loss incurred as a result of a lost or stolen credit card, someone forging your signature on a check or other financial instrument. Some restrictions do apply so be sure to go over the details before you buy. For all of those perils that are not covered, such as flood, earthquakes, nuclear accident, acts of war, etc., Progressive offers additional hazard insurance options to keep you completely secure. Windstorms are also excluded from most policies, mainly near coastal areas. You need to check your policy and see check your coverage. Progressive insures more than just your home and vehicles. They offer a number of other insurance products to cover just about anything from your pet to your wedding. The company provides the most versatile combination of products for coverage among any other in the industry. Here are just a few of the most notable policies that are available. Commercial Insurance: The company provides policies to insure commercial vehicles such as box trucks, tow trucks, vans, and dump trucks. They also offer other commercial insurance products like workers compensation, contractors and business owners policies, as well as business liability coverage. Health Insurance: Progressive has teamed up with eHealth to offer total medical, dental, and vision coverage under the Progressive Advantage Health plans. Carrying health coverage through one of these plans gives you access to over 180 health providers with over 13,000 choices for care. Pet Insurance: This coverage keeps your pet covered. It covers the costs associated with illnesses, injuries, hospitalizations, surgeries, cancer treatments, emergency room visits, MRIs and other scans, specialist care and more. Any routine checkups, dental cleanings, and other wellness exams and vaccinations are also covered. Wedding and Event Insurance: Weddings can get so expensive these days that they become an investment that needs full protection, should something occur to ruin the day. Progressive offers wedding day insurance, as well as other event planning insurance policies to make sure everything goes off without a hitch. If something does happen, you have coverage. This extends to cancellations, loss of belongings and other items, as well as liability coverage. Life Insurance: These policies and plans offer Term Life, Permanent Life, and Final Expense Insurance to fit any budget. Term Life policies are the most affordable, keeping payouts and premiums fixed over a 10, 15, 20, or 30 year term. Permanent Life Insurance policies build cash value that you may borrow against if you wish. They provide a guaranteed payout no matter when you pass away. Final Expense policies cover all of these costs including funeral expenses, burial costs, credit card and other debts. Progressive has one of the most versatile menus of insurance products available. Every consumer should explore them thoroughly before choosing an insurance company to safeguard themselves and their valuables. Progressive offers plenty of discounts for keeping premiums low. They help to comparison shop by giving you their rates and the rates of their competitors, so you can make an informed decision on purchasing coverage. Their unique Name Your Price Tool also lets you tailor your coverage to meet your budget. For these reasons, Progressive is a very attractive choice in the marketplace.